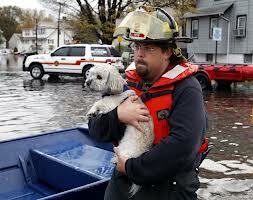 Home » Archives » CosmoDoggyNews: Shelter for Animals Rescued from Hurricane Sandy. CosmoDoggyNews: Shelter for Animals Rescued from Hurricane Sandy. The Humane Society of United States is taking action to give animals affected by Hurricane Sandy a safe place to be in, such as many pet-friendly shelters in New York, New Jersey, Pennsylvania, Connecticut, Delaware, Maryland and Virginia. Based on previous experiences like Hurricane Katrina, they are working since the beginning of the storm and will continue for the next few days, when they expect the number of calls for help to rise. America Human Association also prepared a82-foot truck as well as rescue boats, food and medical supplies in order to keep animals safe and cared for throughout the disaster. The Wildlife Conservation Society has mobilized itself as well, participating on the evaluation and rescue of animals living at Zoos and Aquariums. Many animals and their owners suffer from anxiety and panic as well as the stress of being separated from one another during these moments of high danger and uncertainty. It is important for a place to exist where the whole family is safe and can stay together. 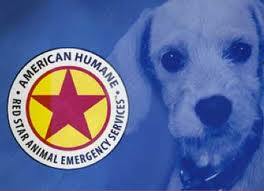 If you have any questions, need help or would like to help, please contact the American Humane Association.